The April 2019 Europe list is now available. The list is produced in both PDF and DOC formats. The Germany list is regularly revised. The latest full list is dated 6.4.19. and it revises the previous list. The new France list is dated 25.3.19. It adds 550+ mainly used items. The recent Portugal list is now revised (4.4.19.). 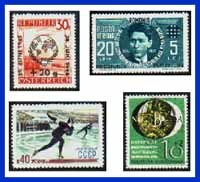 The new Croatia 1941 to 1945 list is dated 10.4.19. New lists from other countries are added when available.